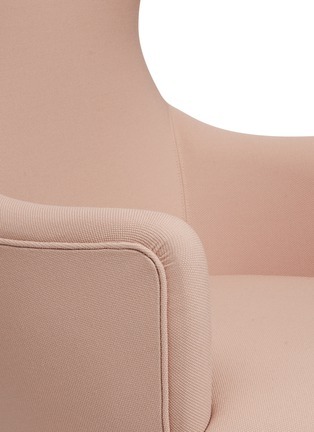 A 17th century English archetype is reconsidered in Tom Dixon's Wingback chair. 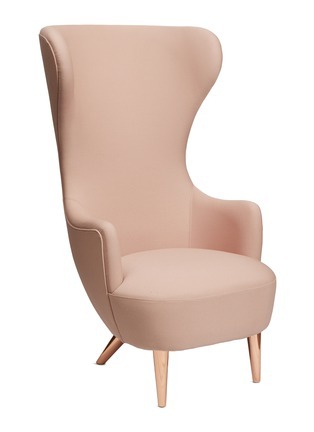 Tweaking and teasing out an exaggerated silhouette, this ergonomic piece embodies both form and function with its dramatic look and signature copper-tone legs. Nestle into its comfy embrace with a good book, and kick back on the matching ottoman.